Romeo came to us from a life as a barrel racer. For many years he was trained to go go go. Romeo was also a trail horse and apart of 4-H. Starving and alone in a backyard, with tons of hay in the barn, he was often left to starve, Romeo was surrendered by his owner to us on June 17, 2010. 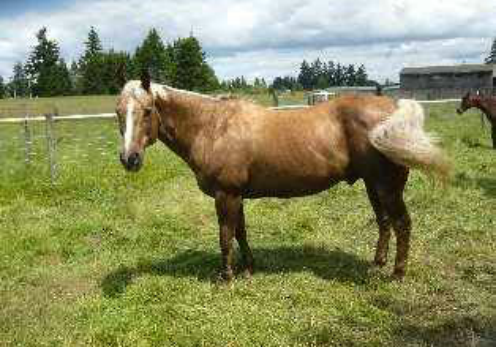 He was a super sweet 17 year old Palomino Quarter Horse Gelding. ROMEO lived up to his name, he stole the hearts of everyone he touched. We said goodbye to the kindest, sweetest soul to ever grace our presence. We will miss your sweet face, soft nickers, and hoover like abilities to clean up any food that was put in front of you. Fly free buddy. With the grant money provided by The Puyallup Tribe of Indians, we were able to get everyone's teeth floated this week. Romeo just couldn't wait. With some dental work, he can eat more hay! Woohoo! 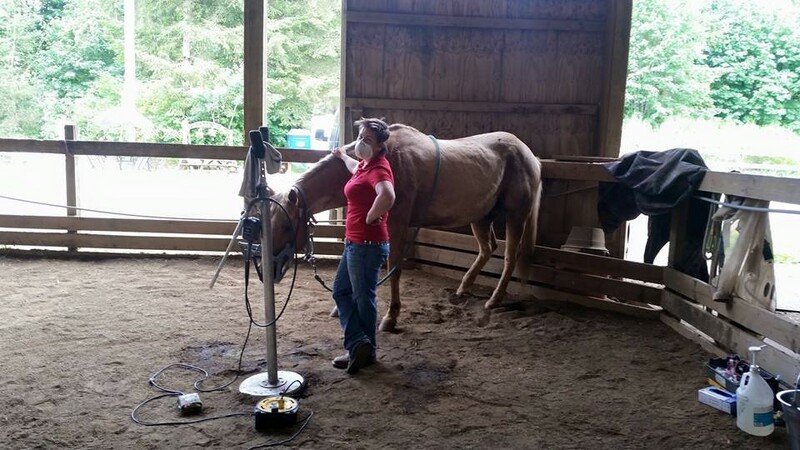 With the donations received, we were able to get x-rays of Romeo's legs and hoofs to get a better idea of all the things that may be going on with this wonderful guy. Romeo has limitations with regards to riding as he required special shoes and supplements to stay sound. He still has many wonderful years to share and he will live them as comfortable as possible with our help and from sponsors.